Located forty minutes from the Moose Entrance of Grand Teton, Atherton Creek Campground provides the perfect place to get away from the crowded conditionsfound closer to the park. 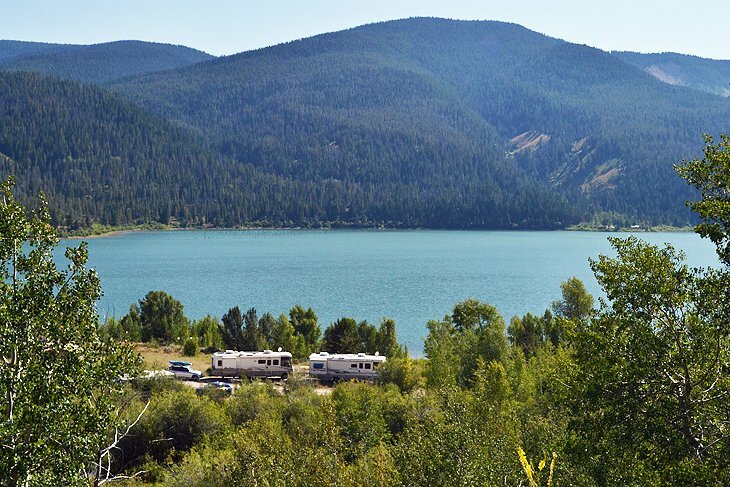 Owned and operated by the US Forest Service, Atherton Creek Campground features 22 non-electric sites that can accommodate trailers up to 26 feet in length. Each campsite comes with a picnic table and fire ring, as well as great views and easy access to the adjacent Lower Slide Lake. Visitors and overnight users of the Atherton Creek Campground are encouraged to use the public boat dock to put their non-motorized or motorized vessel onto the lake, and to use the open water for swimming, paddling, and trout fishing.